June 17 is the 168th day of the year(169th in leap years) in the Gregorian calendar.There are 197 days remaining until the end of the year. Drogo, also known as Dreux or Drogon, was an illegitimate son of Frankish emperor Charlemagne by the concubine Regina. Year 676 (DCLXXVI) was a leap year starting on Tuesday of the Julian calendar. The denomination 676 for this year has been used since the early medieval period, when the Anno Domini calendar era became the prevalent method in Europe for naming years. Saint Hypatius of Bithynia was a monk and hermit of the fifth century. A Phrygian, he became a hermit at the age of nineteen in Thrace. 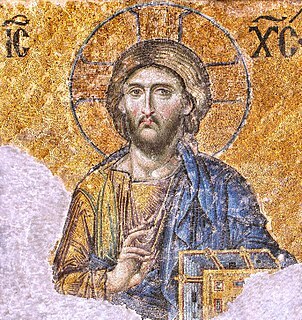 He then traveled to Constantinople and then Chalcedon with another hermit named Jason. He became abbot of a hermitage at Chalcedon. Saint Rainerius is the patron saint of Pisa and of travellers. His feast day is June 17. His name may also be spelled Raynerius, Rainerius, Rainier, Raineri, Rainieri, Ranieri, Raniero, or Regnier. Samuel Augustus Barnett was a Church of England cleric and social reformer who was particularly associated with the establishment of the first university settlement, Toynbee Hall, in east London in 1884. He is often referred to as Canon Barnett, having served as Canon of Westminster Abbey from 1906 until death. Saint Albert Chmielowski - born as Adam - was a Polish professed religious and the founder of both the Servants of the Poor and Sisters Servants of the Poor. Chmielowski fought in the January uprising that saw him damage a leg that had to be amputated which prompted him to resort to a wooden replacement for the remainder of his life. He became a popular and well-known painter and used religious themes for most of his paintings before deciding to give all of that up in favor of a life dedicated to the plight of the poor. He first entered the Jesuits but later left and became a professed member of the Third Order of Saint Francis. Saint Gondulphus of Berry, is a bishop, not to be confused with Gondulf of Maastricht. 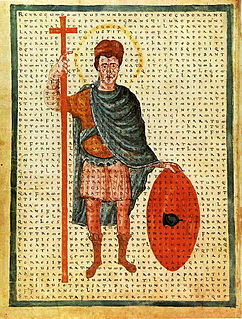 Saint Hervé, also known as Harvey, Herveus, Houarniaule, or Huva, was a sixth century Breton saint. Along with Saint Ives, he is one of the most popular of the Breton saints. He was born in Guimiliau (Gwimilio). ↑ McMurdo, Edward (1889). The History of Portugal: From the Commencement of the Monarchy to the Reign of Alfonso III. S. Low, Marston, Searle, & Rivington. p. 424. Retrieved 15 July 2018. ↑ Lewis, Paul (2000-04-30). "Evelyn Irons, War Reporter, Is Dead at 99". The New York Times. ISSN 0362-4331 . Retrieved 2017-10-26. ↑ GHUGARE, GANESH JANARDAN (2017). IMPORTANCE OF MANAGEMENT TECHNIQUES OF CHHATRAPATI SHIVAJI ON THE BATTLE GROUND A STUDY. Chapter 3. Shri Jagdishprasad Jhabarmal Tibarewala University. p. 47. ↑ Stockel, H. Henrietta (2000). Chiricahua Apache Women and Children: Safekeepers of the Heritage. Texas A&M University Press. p. 75. ISBN 978-0-89096-921-2. Wikimedia Commons has media related to June 17 .